Ralph’s presentation, TRUE GRIT will tell the story of Berea Sandstone and its place in history. Our 2016 Calendars will be available for purchase along with all of our numerous publications. With Christmas just a mere month away, this is a perfect opportunity to stock up on some Christmas gifts! Parking available in the lot off Albers Ave, behind Walgreens. 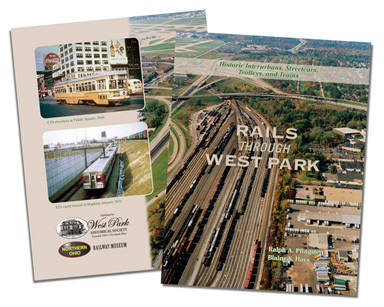 This latest offering is co-published by the West Park Historical Society and the Northern Ohio Railway Museum. over 185 newly published images and maps! Meg Colwell, Principal of Puritas Community Elementary School, holds a copy of “Historic West Park” a coloring/activity book. These books were donated at the start of the school year to one grade in every West Park elementary school. 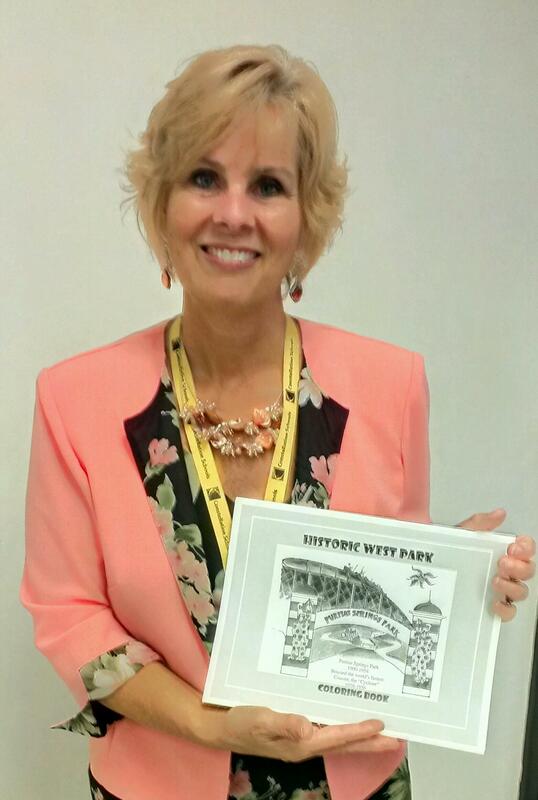 The books feature word games and sketches of various historic West Park places and buildings suitable for coloring. Each recipient was encouraged to learn the history of their own family through family photo albums and discussions with their parents and grandparents. It is our hope that we’ve stimulated some youngsters to embrace a love of history, starting with the very neighborhood where they attend school. This project was funded by a grant from Neighborhood Connections, an affiliate of the Cleveland Foundation and the Ohio Arts Council.